The low style of this ring makes it very durable and suitable for everyday ware. This ring also works great as a stack-able with other styles and colors of rings. 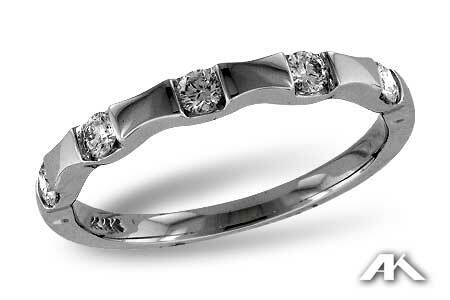 A matching engagement ring, additional metal options, and additional sizes are available by special order. Please call or email us for additional information.